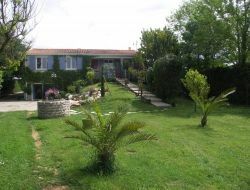 Holiday home very close to Marennes, in the peace and in 8 km from the Ile d'Oléron, on a raised ground including a car park. The gite includes: 3 bedrooms, sheets are supplied, 3 shower-rooms, a living room, a fitted okitchen : washing machine, dishwasher, oven, microwaves, flat screen tv, WiFi. Garden furniture, barbecue. 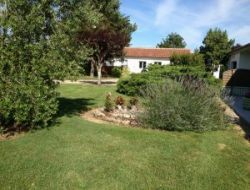 Charming gite all comfort for 4 people in a house typically of the Charente Maritime, ideally situated in 5 mn from Fouras and Rochefort sur mer and close to La Rochelle. Spacious and very bright holiday home having two independent bedrooms, privative terrace, enclosed raised park. It's the house that I live in a large part of the year. It is thus personalized in the simplicity, comfortable, restful. Holiday home for 4 persons maximum. Situated in a very quiet street, close to the abbey to the ladies, to the town centre, to the small shops. You will be woken by the songs of birds. Minette (the cat stay here) is anxious and will need a nanny family. 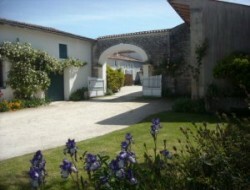 For your holidays in Charente-Maritime, rent of 2 gites with covered terraces, big closed and shaded courtyard... Holiday homes situated in the entrance of Royan, in 2 km from the shops and 5 km from beaches. You can concile the peace of the countryside and the seaside activities. 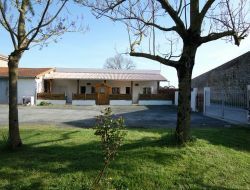 40 km from Royan and 20 km from Saintes and Cognac, in the heart of Saintonge Romanic, gite for 4 persons, recently fitted out in the spirit of family house, ideal for green holidays between Charente and Charente-Maritime. 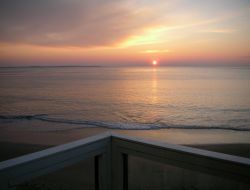 Rent for the holidays of a new house located 4 km from La Palmyre and the beaches of the wild coast for 6 people maximum in a quiet place, ideal for family with children or for retirees. 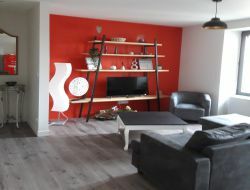 Apartment in a character building, for 2/4 people, located in a Charente village where passes the channel of Charente to Seudre which a circuit was arranged for the GR 360. Ideally located for your holidays and spa treatments, nearby: hiking, fishing, golf, boat rides, equestrian activities and tree climbing. 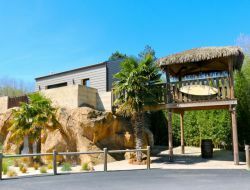 Holiday rental located 5 minutes from Rochefort, 30 minutes from La Rochelle, Royan and Saintes, 15 minutes from Ile d'Oleron, Marennes and Fouras. 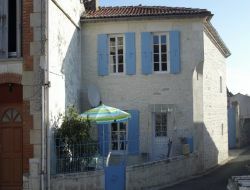 Located equidistant from Saintes and Royan, nice village house on two levels, ideal for a family of 5 people. 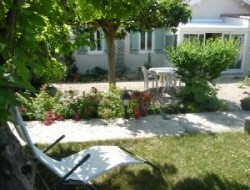 Gite of 125m ² with a small courtyard very sunny, 18 km from the beautiful beaches of the Atlantic such as Royan, St Georges Didonne, Meschers, in the middle of the Saintonge and its rich heritage.